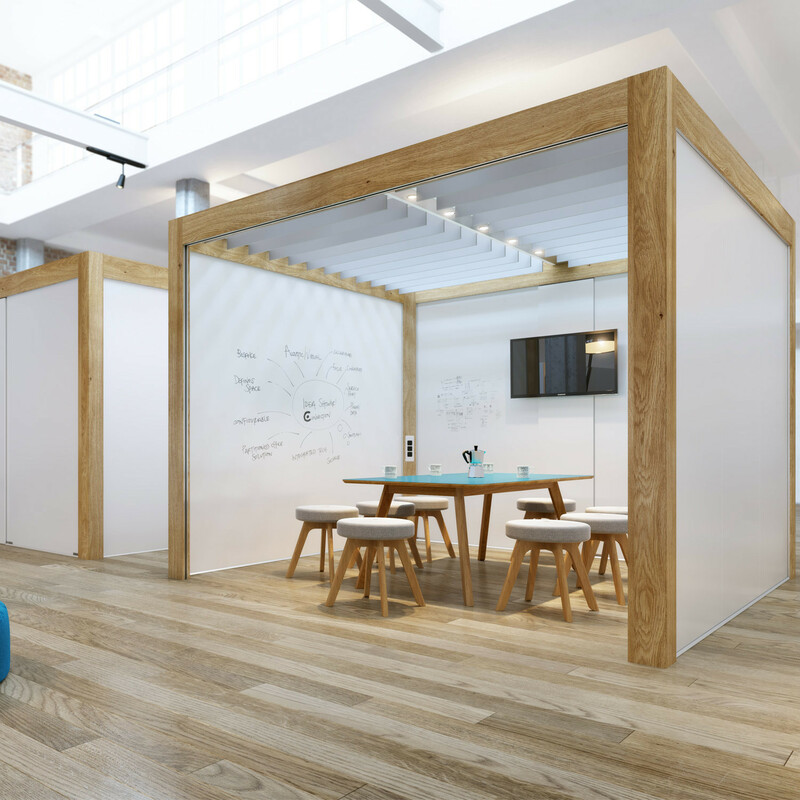 Rooms system is a temporary room-in-room workplace solution for the modern office. 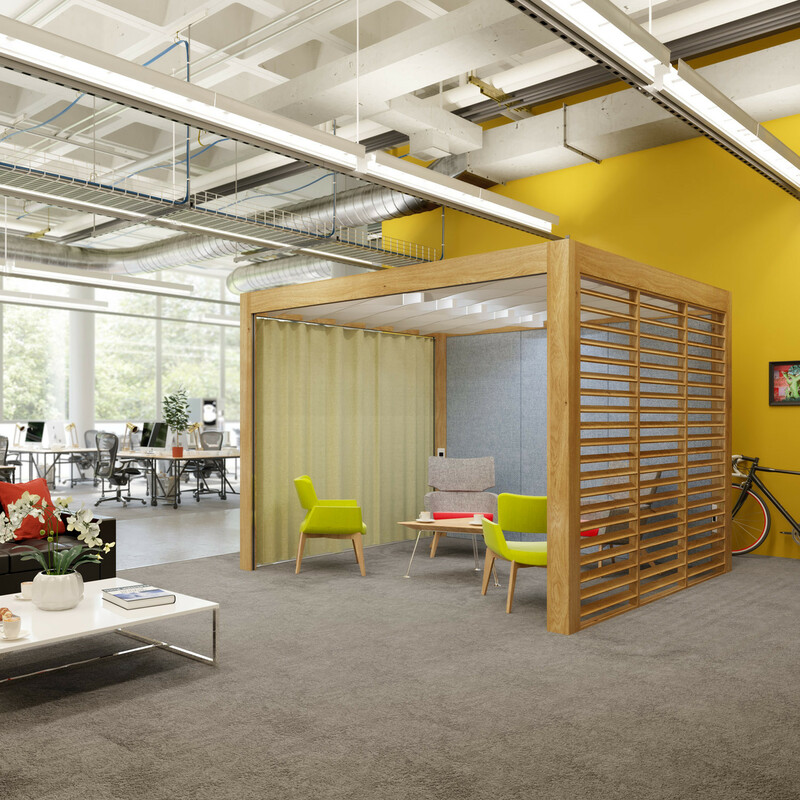 Rooms have been designed to define a space in open plan offices and create a place to Meet, Socialise, Focus & Collaborate. 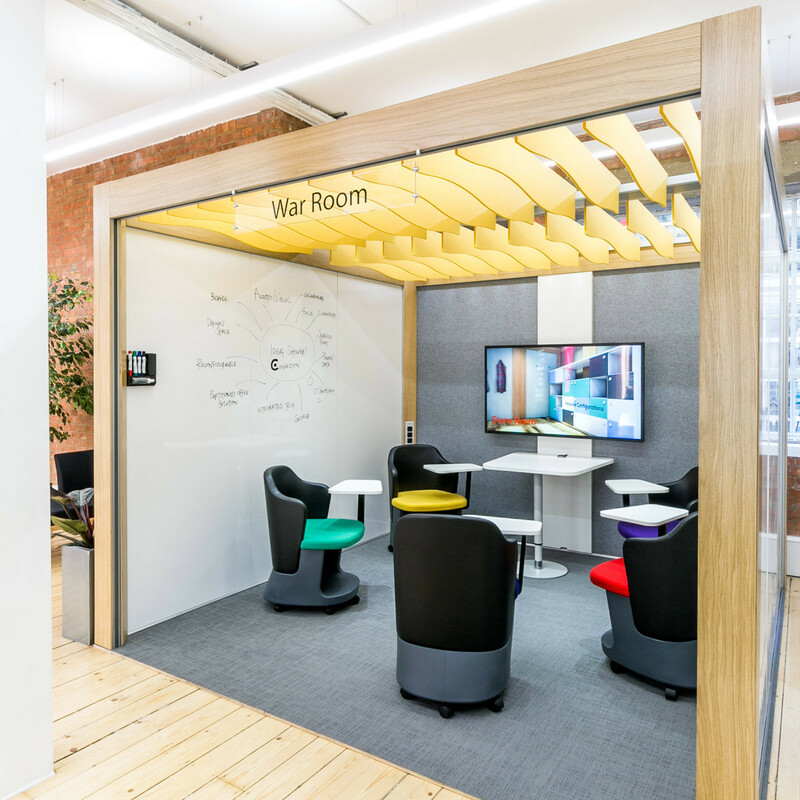 Rooms can also be used to define breakout hubs, printing areas or postrooms. Room’s architectural structure offers a suggestion of an enclave, which can be configured with visual and acoustic solutions and tailored by the users with colour and texture to create spaces of different functions. 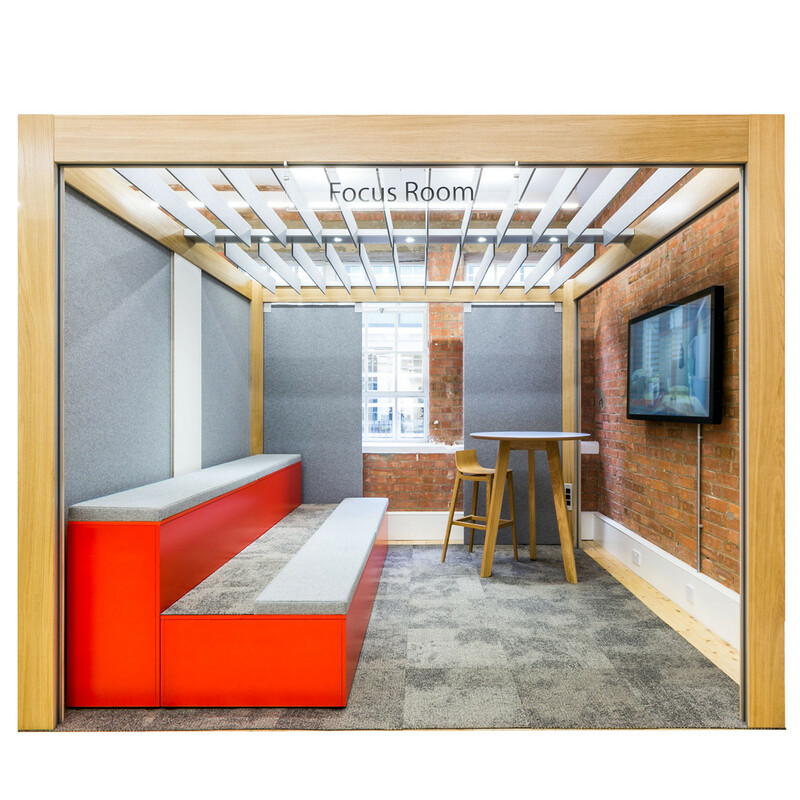 Rooms is modular aluminium structure with Oak veneer Birch plywood cladding, with open sides that can be customised with multiple wall options. The Rooms unit is supplied as standard with a mid light beam with five LED light fittings. You are requesting a price for the "Rooms "
To create a new project and add "Rooms " to it please click the button below. To add "Rooms " to an existing project please select below.